A strong mentoring relationship is built on collaboration and the commitment to professional development. Whether assisting with your resume, providing guidance on a project or identifying resources, through NOVA’s Empower Mentorship Program you can connect and grow within the Department of Veterans Affairs. Your advancement and success within the Department of Veterans Affairs aligns with your knowledge and understanding of current nursing practices, and the policies and initiatives that affect nurses and patients. 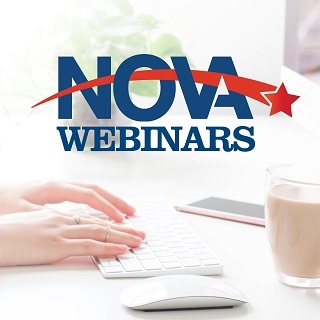 Learn more about effective feedback on your performance, opportunities for career advancement, evidence-based practice and much more through NOVA’s educational webinars. Webinars are valid CEUs and are offered both live and on-demand for your convenience. NOVA’s exclusive education partnerships provide valuable discounts toward furthering your higher education. NOVA’s exclusive certification partnerships provide valuable discounts toward specialty nursing certifications. Make connections and build enduring and mutually beneficial relationships by attending NOVA’s Annual Meeting. Attendees network and connect with VA nurses nationwide, developing knowledgeable resources and lifetime friendships. NOVA works hard to advocate for all nurses within the Department of Veterans Affairs. Make sure your voice is heard by becoming a member today. Get the latest information on legislation and issues impacting VA Nurses, NOVA chapter events, member benefits, education and certification partnerships, events and announcements, associate member products and services, along with updates from NOVA's leadership. Volunteering on a NOVA Committee is a great way to network with fellow VA Nurses, develop leadership skills and help shape the future of NOVA.